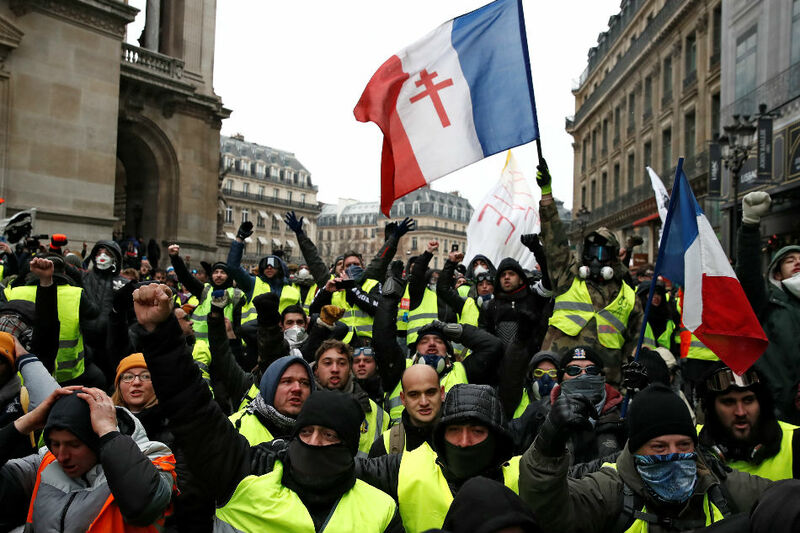 PARIS, France - One of the leaders of the "yellow vest" anti-government demonstrations, Eric Drouet, was detained by French police and placed in custody on Wednesday for organizing a central Paris protest without declaring it, according to a source at the prosecutors office. Drouet was first arrested last month. He face trial on June 5 for "carrying a prohibited category D weapon," a judicial source told AFP. Radical leftist leader Jean-Luc Melenchon, a fierce critic of Macron, tweeted: "Again Eric Drouet arrested, why? Abuse of power. A politicized police targeting and harassing the leaders of the yellow vest movement."